Madagascar, the world's fourth largest island, hosts one of the world's longest continuous coral reefs1. The country is famous for her unique land animals, but her seas are also full of life not found anywhere else. And she doesn't just have endemic species: around the Madagascar coast are found at least 34 types of whale and dolphin, 5 types of turtle, 56 types of shark, 300 hard corals and 1300 species of bony fish 2. Madagascar Liveaboards - Compare prices. Book now & pay later. Madagascar is in the Indian Ocean, off the coast of Mozambique. The cyclone season normally runs from January to March at which time most of the dive centres are closed. The best time to go is between May and December, when the visibility can be 30 m or more. High season is in July and August, which are also the coolest months. Average open water sea temperature ranges from 28 oC in January to March, to 23 oC in July and August.3 In the north, though, the water temperature never gets lower than 26 oC in Winter and the average temperature is 28-29 oC for the rest of the months. Visas are required for entry to Madagascar. 30-day tourist visas may be obtained at the airport on arrival. If obtaining a visa at the airport, you should ensure that an entry stamp is recorded in your passport. There has been political unrest in Madagascar since 2009, when there was a coup. Take care when travelling. The British Foreign and Commonwealth Office provides up-to-date travel advice. It's recommended to take out comprehensive travel and diving insurance before going to Madagascar. Some good diving in Madagascar is around Noisy Be, but for the best dives take a liveaboard to the Mitsio (north of Noisy Be) or Radames (west of Noisy Be) archipelagoes. The east coast of Madagascar - eg Saint Marie - is on migratory routes for humpback whales (Megaptera novaeangliae) between July and September. Indeed, they are said to give birth there during this time. 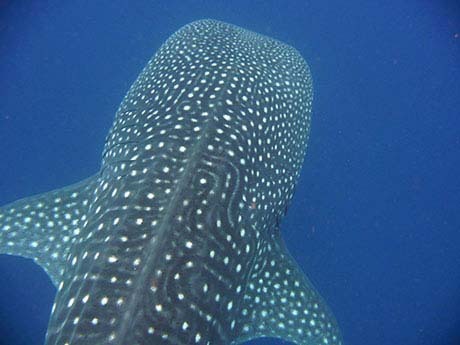 Whale sharks are frequent in October and November at Nosy Be. 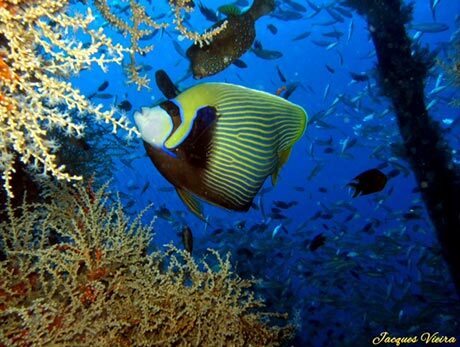 Around Nosy Be the diving generally takes place in the morning as the wind becomes stronger in the afternoon. 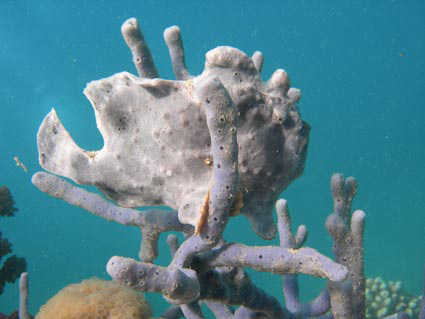 Tanikely is a marine park with exceptional marine life. "Second only to Mozambique. We dived at end of rainy season (end April) so it'll be even better from May onward"
"We did more than 10 different dive sites around Nosy Be. 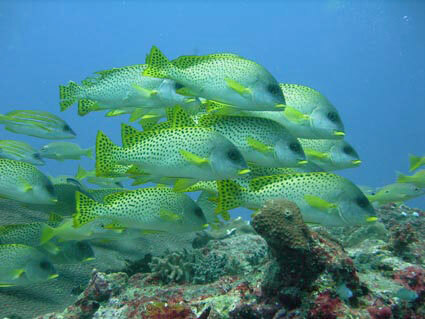 Great variety or coral reefs, interesting marine life and HUGE schools of fish. All dives except Tanikely are pretty deep (20+m) so sufficient surface time is a must. One day had very strong current and 2 dives of the day were more of "hold to something and see what you can". " "Nice shallow (max 18m) dive with enough interesting marine life to be interesting to more advanced divers as well. 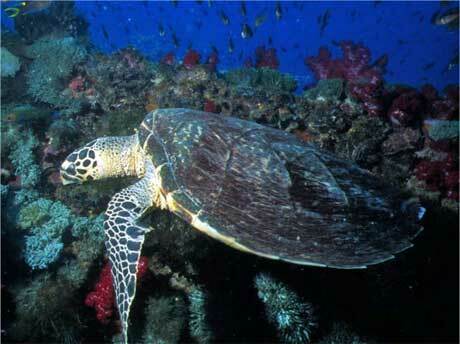 Turtles, leopard shark, big frogfish, angelfish." "Great under 20 m site." "Coral in amazing condition, especially the HUGE fans, turtle, massive lobsters, too many species of fish to list." "The wreck is pretty deep (20-28m), but the amount of life around it is amazing. I have not seen that many scorpionfish in one location ever before. Enough to see for 2 consecutive dives if interested." "Awesome wreck dive. Second dive at gorgones has amazing fan coral and bio diversity"
"Excellant for macro and hard corals"
"Big wall with sea fans, cave and pinnacle." "Drop off with very high density of school and great diversity." "Drop off with.sea fans cave,grey sharks,white tipes sharks,king fishes, barracudas." 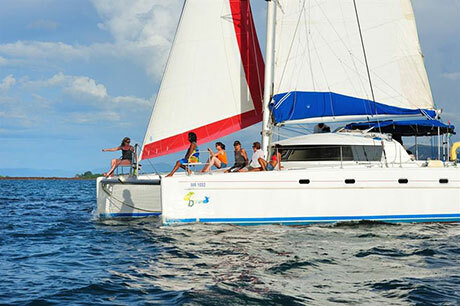 The Oceanes Dream catamaran caters for just 8 guests in 4 double cabins. Each cabin has its own en-suite bathroom and double bed, offering a little luxury whilst exploring the best dive sites of Madagascar. Why choose this liveaboard? Oceanes Dream safaris depart from Nosy Be and explore the pristine islands of the Radama Archipelago and the Mitsio Archipelago. 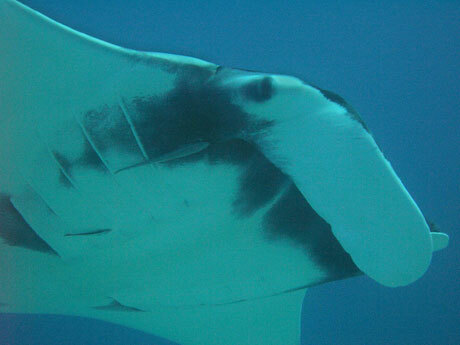 Divers regularly encounter schools of barracuda, jacks, whitetip reef sharks and hammerhead sharks at Radama. The Mitsio Archipelago is idea for spotting large schools of fish, plus manta rays and whale sharks. You can explore stunning beaches in between dives and keep your eyes open for humpback whales and dolphins passing by. Speak and teach in French, English, Italian, French, Spanish and German. Run by Michele and Jennifer. Organise day trips, introductory dives, and training courses PADI from Open Water Diver to Divemaster and CMAS from 1* to 3*. Also organize cruises to the Mitsio and Radama Archipelagoes on catamarans. Open througout the year. 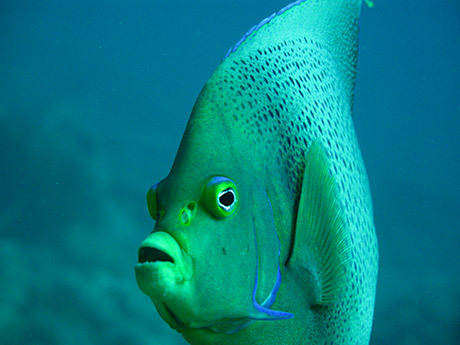 The only dive center in Madagascar to offer Fluo night diving. Also a macro specialist. We have drift dives, wall dives, patch reefs! Also we have a population of humpback whales that migrate Mozambique channel. "Aviavy Hotel was at the beach where the daily dives leave. Rooms are comfortable with A/C, reasonable prices and very good food if too tired to wonder elsewhere." by Hilary Bradt; Bradt Travel Guides, Paperback, 448 pages, 2014. From the Nosy Be archipelago to the coastal town of Fort Dauphin via the capital Antananarivo, Bradt's Madagascar covers all the national parks and protected areas. by Andrea Ferrari and Antonella Ferrari; Nautilus, Paperback, 128 pages. Includes 1200 concise descriptions accompanied by detailed photographs. Covers Indo-Pacific, Red Sea and the Caribbean. Good quality map of Madagascar. Please send us your comments on Madagascar. Do you want to recommend a diving centre or dive site? Let us know. Have a question - try our Diving Board. If you own a dive centre get yourself added. If you want to be notified of updates to the site, along with diving news and discussion, please subscribe to our newsletter. We also welcome your views and experiences - send us your trip reports.